Augmented Reality is being used in various niche including construction, tourism, health care and much more. 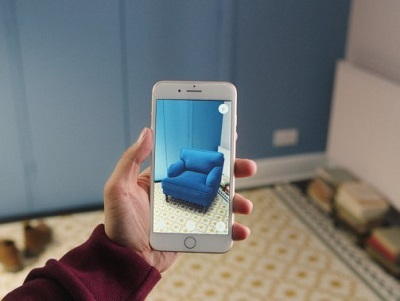 The use of augmented reality for marketing is the new trend you will see everywhere. Advertising companies are leveraging this technology potential to bring something new and interesting for customers. Augmented reality advertising is the next big thing which will become common as normal ads in the coming years. The main thing which makes this technology so attractive is the user engagement you get as compared to other commercial ads. On an airport, you will see AR based billboards which you can play without physically touching it, just by scanning a small barcode from your phone. The real blueprint behind the Augmented Reality based marketing campaigns is that ultimate user engagement for a higher amount of time. As compared to normal ads, the AR-based ads have more engagement and retention rate which is converting more customers. Research conducted by Deloitte shows that almost 90 percent of companies which are having annual revenues of $100 million to $1 billion are now putting AR and VR technology on work to earn more. The main reason behind the AR adaptability among big brands is the return of investment they are getting. $10 million spent on AR and VR will bring sales of more than $21 million as per leading firm Purch. People are getting real-time ad watching experience in AR which is attracting them to buy any product. People can hands-on and explore the service or product at the ultimate level of satisfaction and entertainment. There are numerous big brands using augmented reality to engage their customers. Below are some of the coolest augmented reality marketing examples from big companies which are making billions of dollars by using this amazing technology. We offer you the best prices in the town. By our optimal designing strategy, we save you a lot of money in AR services. Our team knows how to design in the best optimal manner to offer you the best. At ZealAR, we are having a wide and advanced range of AR services to cater your every need with perfection. Our team of AR app developers make sure to implement your idea exactly as you have described us. By discussing your needs & ideas, we offer you the exact prototype of what you have been looking for. Your satisfaction of foremost for us. We analyze your needs from a micro level to serve you in the best way possible. Solve Real-Life Problems with Amazing Augmented Reality!